Teaching about social interactions isn't as easy as filling out a worksheet. 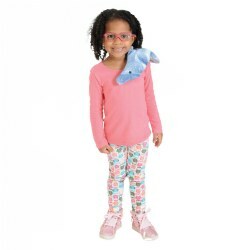 That's why Kaplan offers a range of social emotional products to help students understand social interactions like bullying, respect, sharing, responsibility, honesty and other character assets. 12 months & up. 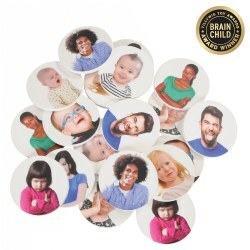 Children can recognize, identify, and match familiar emotions with this set of 20 tiles that depict real images of a variety of feelings. 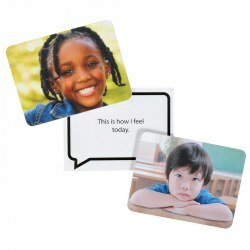 Engaging with the Emotion Tiles will promote the development of: Confidence, Curiosity, Cooperation, Acceptance, Communication, and Self-regulation. Made with safe, durable material that can be wiped clean with a damp cloth. 3 years & up. 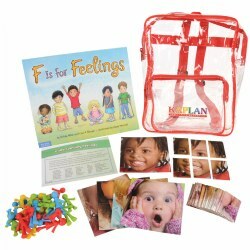 This social and emotional take-home kit invites families to join together in understanding and identifying emotions. Kit includes a book, learning materials, and activity card. Birth & up. 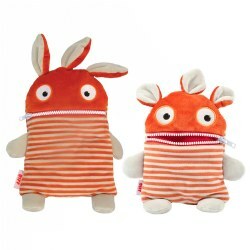 Children will relate to this loveable set of bears and matching blanket that encourage social and emotional development. 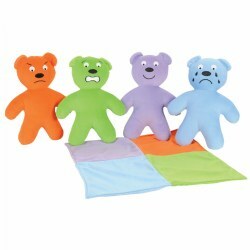 The four soft and colorful bears will help children identify and label the common emotions of happy, sad, angry, and scared. Each bear is 11" tall. Machine washable. 3 years & up. 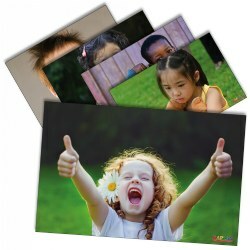 Full color, photographic images help children to identify and label their emotions. Includes a color inlay on the frame to assist with placement of pieces. Set of 8 puzzles with 12 pieces per puzzle. 4 years & up. Make any moment mindful from morning to night with five categories of cards, designed to fit into each part of the day. Whimsical full-color illustrations on both sides of the cards provide easy-to-follow steps for each practice. 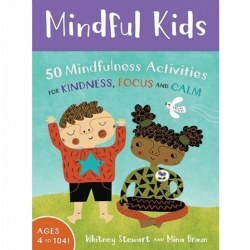 The cards and 8-page instructional booklet include tips for children of a wide range of abilities, making this deck an inclusive tool for nurturing inner peace and strength. Includes 50 double-sided cards. 3 years & up. 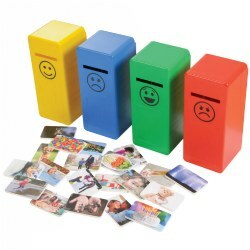 Kaplan's Emotion Sorting Boxes help children identify and sort through their feelings. The set includes 20 scenario tiles and 4 emotion boxes with 4 different expressions. Children will choose a tile, identify what is happening in the picture and how they would feel if they experienced that scenario, and then place their tile in the box that best represents that emotion. 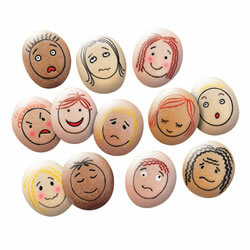 Makes a fantastic children's emotional health activity! 3 - 5 years. 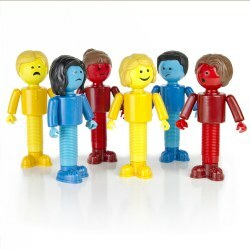 Build Me "Emotions" invites preschoolers to explore emotions and physical characteristics in a fun and engaging way. As children collaborate on a range of character building experiences, they recognize feelings and identify similarities and differences. 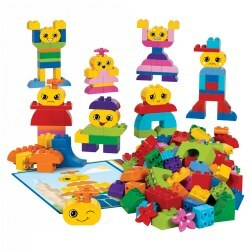 Building cards provide support and inspiration so children can continue to build and rebuild characters again and again! 188 pieces. 3 years & up. 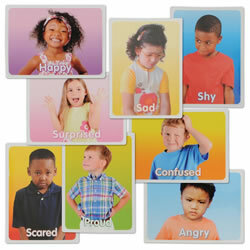 Give the children in your classroom an opportunity to identify their personal feelings with 50 common life scenarios. 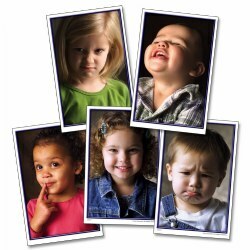 Children may not always feel the same way as their peers in specific situations and life events. This set gives them the self-discovery tools needed to evaluate how they feel and to understand that others may not feel the same way. 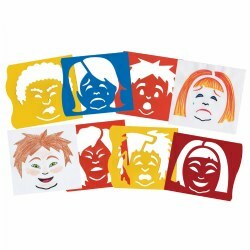 This set includes a set of emotions tiles for 10 children (depicting 6 emotions each), instruction cards, and 50 scenario cards. Encourage children to identify their feelings and understand the relationship between their actions and other's responses with the My Feelings Carpet. Children will be able to relate to each of the ten emotions (happy, embarrassed, surprised, worried, angry, proud, shy, confused, scared, and sad). Measures 4' x 6'. 4 years & up. 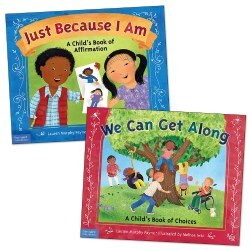 "We Can Get Along" presents the idea of tolerance while supporting acts of kindness and conflict resolution. "Just Because I Am" invites children to appreciate themselves exactly how they are. Each contains a section for parents, teachers, and caregivers with activity and discussion ideas. 4 years & up. Discover and explore emotions in art! 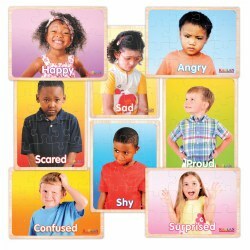 Each ethnically diverse boy & girl represents a basic emotion. Trace the stencils to create over 30 different combinations! Includes 6 stencils measuring approximately 8 x 8" and idea guide. 3 years & up. 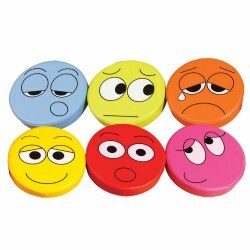 This beautifully crafted set of tactile stones is engraved with faces showing 12 common emotions. Stones are durable in sand and water, indoors and out, providing opportunities to explore emotions across different environments. Set of 12 stones measure 2 1/4" wide each. 3 years & up. 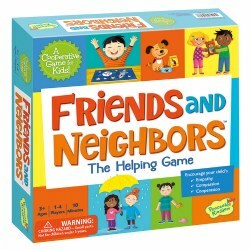 In playing the game and reading about the feelings and needs of the characters, children will begin to recognize feelings in others, the first step to building empathy. Includes 4 game boards, guide and story book. For 1-4 players. Birth & up. 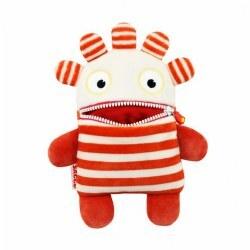 Stay warm and cozy with these cute and cuddly plush Warmies®! 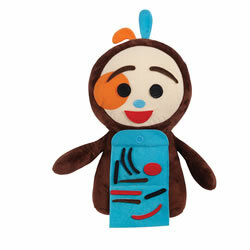 Simply warm them up in the microwave and you will have a warm, huggable friend in no time. 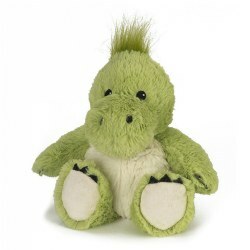 Warmies® feature a gentle, relaxing lavender scent. Surface clean only with a damp sponge. Warm time: 60 seconds in a 1000W microwave. Size: 13" Long.